Kathmandu to Pokhara tour offers diverse in Nepalese culture, lifestyle, and history of Nepal. Kathmandu to Pokhara travel begins with the historical and architectural Kathmandu durbar square, symbolize Lichhavi & Malla dynasty. 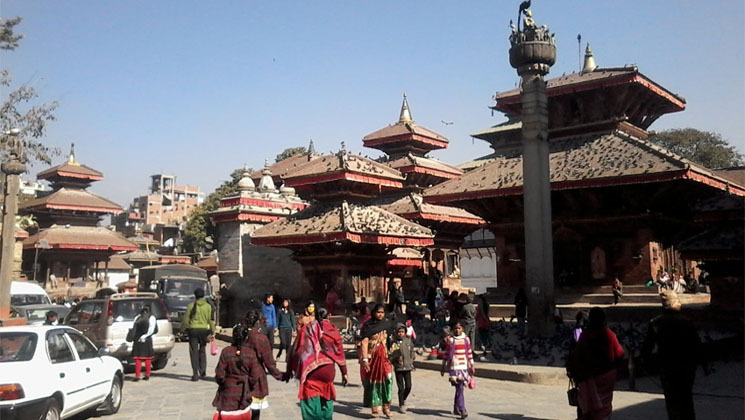 The Kathmandu tour is a tourist paradise and cultural hub for all age travelers to experience the historical and architectural monuments built in 2012. They used to live and operate the rules in the Kathmandu valley. Furthermore, kathmandu to pokhara tour package is carefully designing from our expert tour operator Ammar Raj Guni. Moreover, the best and most visiting places include Kathmandu durbar square, Swayambhunath, and Boudhanath stupa. In addition, Hindu temples of Pashupatinath and Changu Narayan located above Bhaktapur city. Travel solo or with groups, make an amazing Pokhara day tour booking expert guide that provides from Gokyo Treks Nepal. Besides that, there are many temples and monuments in and around Kathmandu and Pokhara towns to visit. Furthermore, Pashupatinath temple , a major Hindu pilgrimage sites, lies in the bank of the holy Bagmati river. At your Pashupatinath tour, you can see how Hindu people do funeral processes of a dead body. Moreover, Pokhara city is a beautiful town lies 200 km away from Kathmandu. During the Kathmandu to Pokhara tour trip, you will be guided to the most popular places in Pokhara like Phewa Lake, Begnas Lake, Rupa Lake, Mahendra Gupha, the Davis Fall, the gorge of the Seti River. Some of them are also the best picnic spot in pokhara. Majestic phewa lake is another tourist attraction where people can boat to reach tal barahi temple. Visit Hindu temple and get the glimpse of Annapurna mountain range while surfing on fewa lake. See our tour packages in nepal for Nepali and foreigners. In addition, Pokhara sightseeing day tour is one of the most demanding and best-selling trips in Nepal. Likewise, reaching Pokhara lakeside, you can see the development of pokhara nepal tourism, art, and pictures and check the evening in pokhara nepal nightlife. Our tour prices are cheaper and guaranteed service serving with a professional tour guide. Read report on pokhara tour as describing in the page. Upon arrival in Tribhuwan International Airport, transfer to hotel in thamel. Our representative will give you briefing about further programs. Day 2 Sightseeing around the Kathmandu valley, 7 hours. Today, your kathmandu city sightseeing trip begins around 9 am. You will have a private car with a professional tourist guide. In addition, kathmandu city tour includes Swayambhunath, Kathmandu durbar square, Pashupatinath Temple, Bouddhanath Stupa. The overland drive takes about 7 hours journey to reach pokhara lakeside. Walk to fewa lakeside to admire the stunning view of the Fish Tail’s Peak reflected in the silver surface of the water. Get wonderful Annapurna panorama forms a superb backdrop to Pokhara from the lake. Day 4Sarangkot hill hiking. Sarangkot Sunrise (1,590m/5,199 ft). Hike to Sarangkot hill for sunrise. We have magnificent views of the Annapurna Mountains including Dhaulagiri, Manaslu with Fishtail. Furthermore, the view of majestic pokhara city is just awesome. You can hike to the tower and walk downhill to Pokhara fewa lakeside. Furthermore, you walk through rice paddies, beautiful hills, and forest. It is a short easy walking tour gives peace of mind. In the afternoon, visit Tal Barahi Temple which is situated at an island. Furthermore, you can boat on fewa lake, devis falls, begnas lake, Gupteswor cave, Tibetan refugee camp. At evening, go typical nepali restaurants to watch live music with dinner. Day 5Final kathmandu airport departure. Early morning either drive or flight (extra cost) to return at Kathmandu. Drop you into the kathmandu International Airport for further flight. TIA Kathmandu international airport transfer on arrival. 4 night’s Tourist Standard accommodation in Kathmandu & Pokhara with Breakfast. Professional English Speaking tourist guide. Kathmandu to pokhara city tour with private vehicle. Lunch and Dinner in Kathmandu and Pokhara city. Visit the tallest mountains of Earth and experience of rural life styles. The above itinerary is subject to change due to a condition of weather and booking time. This is a Guideline showing tentative camp night staying overnights. The physicality, technical and natural condition may change above < itineraries.